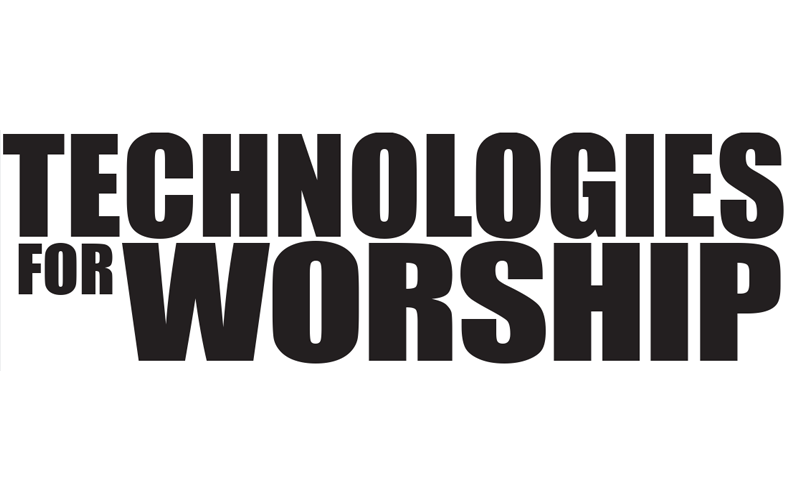 In 1995, a new kind of non-denominational church was conceived by Pastor Andy Stanley – a church that would make relevancy the main ingredient of its teachings and would make use of contemporary ideas and technology to bring people closer to God. From this vision, North Point Community Church was born. In the beginning, members of the church met every other Sunday night in rented facilities. It became difficult to attend the church back then, especially for families with children because of time and space issues. It was determined that a permanent facility was needed. A tract of land in Alpharetta, Georgia, a small town fifteen miles north of Atlanta, was purchased where they built a 2,700-seat auditorium, along with a small theater, offices, and education space for children. When the new facility opened in the fall of 1998, people began flocking to it. With North Point’s contemporary worship style of combining spoken word with rock ‘n’ roll, the church became a popular alternative to traditional worship for a younger generation. The average age of the congregation is 32 to 34. Within months, the church began making plans for a second phase of construction. For the project, the church decided to experiment with the idea of developing multiple worship environments, rather than one large auditorium. This was a faster and less costly way to meet the growing demand. By Spring of 2001, North Point completed construction of a west auditorium directly behind the original one. With the additional seating, the church was able to accommodate 5,000 worshippers at one time. For both projects, the church turned to Atlanta-based Performance Engineering firm, Clark ProMedia to design and engineer the technology installation with company founder and chief engineer George Clark himself supervising the whole project. There are several other rooms on campus, which also feature an impressive array of audio and video equipment. The Attic, intended primarily for use by students aged 14 through 20, is a 500-seat venue that is designed to have the feel of a blues nightclub. The KidStuf Theater, with more than 1,000 seats, hosts children’s services. Designed with a Disney look and feel, services are dramatized, and scripted performances take the children through vignettes and scenarios. Finally, there is the Warehouse, a small room for elementary-aged children. Over the next 6 years, North Point grew to an average attendance of 16,000, reaching their comfortable capacity level and once again, the church found itself looking for solutions to accommodate the ever-growing congregation. The church’s leadership team developed the idea of setting up virtual ministries on remote campuses in order to reach out to a larger geographic area and to maintain the intimacy for which congregation members had grown accustomed to. The first remote campus was to be established in the Buckhead community of Atlanta, GA.
Buckhead has a reputation of being Atlanta’s most affluent and elegant district. But it’s also the hippest and most-fashionable area of the city where the trendiest clubs and best restaurants reside. The population is largely sophisticated and tech-savvy, so it became imperative for North Point to come up with a presentation style to reflect the demographics. Not that this was new territory for the church. With a solid track record of embracing technology to enhance the worship experience and a clear vision for growth, North Point began to realize its dream of creating a virtual ministry in the winter of 2003 when they purchased a 40,000-square foot grocery store that was no longer in use. Based on the earlier work they did on North Point’s main campus, Clark ProMedia was awarded the project to design and build audio and projection systems at the Buckhead location. Taping in HD is a time-consuming process that typically involves significant editing and post-production. Because of this, the taped service is shown a week later at the Buckhead campus. There were obvious concerns in doing this but North Point makes certain content is relative yet not super time-sensitive. The sermons, while topical and timely, don’t concentrate on specific dates or events. The intimacy factor is very important to the worship style of both the North Point church and the Buckhead Church. In order to capture the hearts and minds of the people attending the Buckhead campus, the church decided to invest in top-flight projection technology that would project the pastor’s image crisply and realistically while capturing live moments during the church service. For the Buckhead campus, a Christie Roadster S9 is used for projecting the pastor’s image onto an 18ft by 22ft main screen. In support of the S9 are two Christie Roadster S6s, which are used to project IMAG from the band, hymnals and support messages on the two side screens of the church. So far the response has been overwhelming. 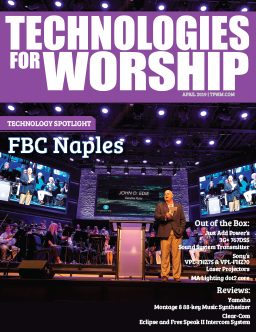 “For sure, we needed the brightness and contrast of DLP and it needed to be a digital signal,” says North Point Community Church’s media director, Aaron Hawthorne. When installing the projectors at the Buckhead campus, Clark ProMedia faced some challenges. For example, they needed to work around the fact that the facility was a grocery store in its former life. Realizing that the focus of the space would be on a large center screen, the company cashed in on a solid relationship they had with the original architects. The whole space was gutted with beams being moved and then reinforced in their new location. Clark ProMedia was originally given two weeks to complete the sound, lighting and video components of the installation, but after construction delays, the time allotted shrunk to four days. Pressured to get everything up and running for the church’s grand opening on Easter Sunday 2003, the team succeeded in completing the project on time. 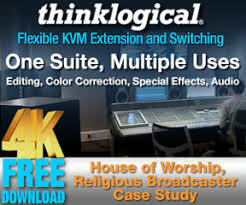 In just seven months the congregation has grown from 0 to over 2,500 members, demonstrating that technology can be an excellent tool for engaging an audience and communicating the Word of God. On the outside, the Buckhead facility looks like a grocery store. Inside, however, it’s very modern. With a seating capacity of 1,700, the ceilings are painted black and the floor is lined with movable chairs that face a large center stage. The simplistic approach is becoming more of a central theme with churches today. It affords them the luxury of leveraging technology and to address growth issues promptly and inexpensively. From a sheer economic perspective, the idea of a remote campus made good financial sense to the church. It was a good alternative to building a new facility from scratch and saved the church a lot of money. Even if money weren’t an issue, constructing a building takes 18 months and an implementation like this [Buckhead Church] usually takes two to three weeks. A church that chooses this path can leverage their existing facility and support growth far more quickly and cost effectively by implementing a technology solution rather than constructing a new building.